The expense reports below are free to download and print for your church members and/or staff to fill out for reimbursement of church related expenses according to your church policy and procedures. Organizing a travel expense form can assist the church in seeing where the money is being spent and how. Many ministers spend hundreds and sometimes thousands of dollars on church-related business expenses each year. 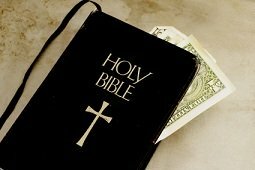 Ministers must show how they spent the money for legitimate church-related business reasons to be allowed to get reimbursement from the church. Most churches have policy and procedures and should have them in place for prior approval of any church-related expenses, etc.These church expense policies and procedures will help guide church staff and/or members on the proper procedures to take when filling out these expense forms and also exactly what can or cannot be reimbursed to them. To deduct travel expenses ministers must be away from home overnight on church-related business. If their trip was not overnight, only transportation costs are usually deducted. For expenses to be allowed as deductions, ministers has to show that they spent the money for legitimate church-related business reasons. In order to prove that they spent the money, ministers need to provide documentary evidence that can be confirmed by a third party, which can include cancelled checks, purchase receipts, or credit card receipts. Receipts are also required if the business expense was paid in cash. If the "five Ws" are posted on the back of receipts or cancelled checks the IRS is usually satisified. The "five Ws" are: Why (business purpose), What (itemized description), Who (names of persons present), When (date), and Where (location). Using a church credit card usually constitutes reimbursement of expenses, but the use of the credit card does not automatically provide proof without additional documentation with regard to church business purposes. Click here to download the Accountable Plan for Ministry Expenses Policy (Sample). Return to Financial Forms from Church Expense Report.